← America in Jeopardy? The Answer is, “4 DEAD Americans Heroes.” What is the Question? Bend over! When will taxpayers wake up? The Affordable Care Act (ACA) a.k.a. 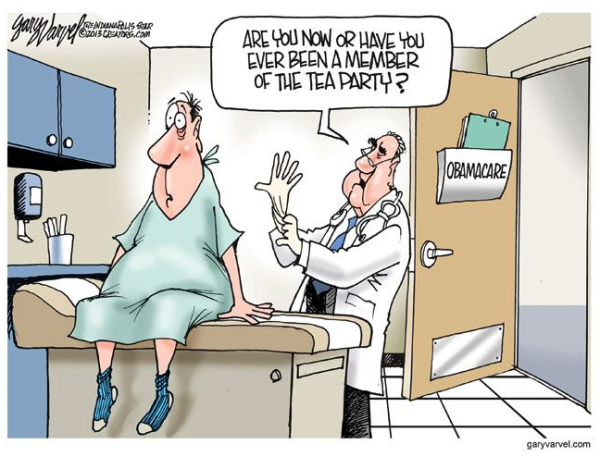 Obamacare was to impose an employer mandate beginning on January 1, 2014. Only Congress is supposed to have the constitutional authority to change that date. Again the Obama Administration, choosing to take the law, ACA, into their own hands, delayed the employer mandate until 2015. This is a deliberate ploy to postpone one of the most unpopular pieces of legislation until after the mid-term elections. “News of the delay was not formally announced, but quietly slipped into a blog entry of one of the President’s top advisers. We’re giving businesses more time to comply,” blogged adviser Valerie Jarrett, who also claimed that the White House is “listening” to small business. The National Federation Independent Business has created “The Healthcare Playbook: A Small Business Guide to the Patient Protection and Affordable Care Act,”available on NFIB’s website. Unlike the act, this playbook is easy to understand, provides clear dates for action items and explains major requirements that you must meet. Most disturbing report yet we’re going to be enrolling uninsured families, without employer’s income verification, allowing them to sign-up for voter registration at the same time. Who’s going to be footing the bill? The entitlement flood gates are now open. It’s being reported by the Daily Caller, in California, the SEIU, the AFL-CIO and the NAACP are already conducting door to door canvassing, phone banks and robocalls to encourage people to sign up for exchange plans. Even more onerous for Republicans, the state has mandated that voter registration will be integrated into the process. This Administration continues to break the law. This latest ploy will increase the cost of Obamacare by at least $62 billion next year alone, by herding millions of people into taxpayer funded health plans whether they are eligible or not. And if you’re getting taxpayer funded healthcare for free why would you vote to repeal it?